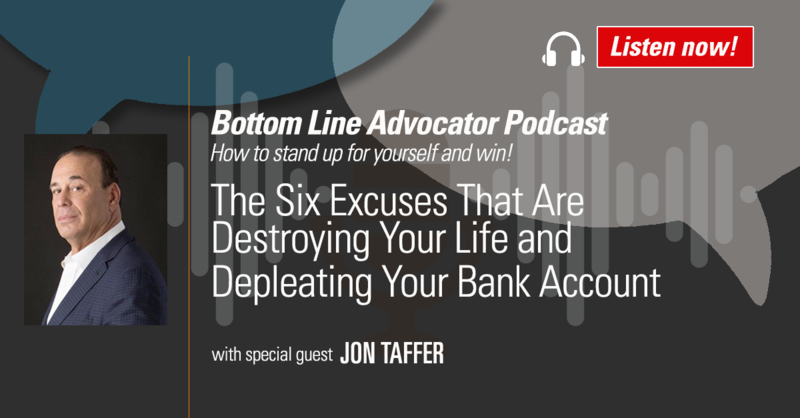 Jon Taffer, host of the TV show Bar Rescue, takes no prisoners when it comes to making people accountable for their lives and forcing them to find the root of their failures—their own excuses. In this edition of The Bottom Line Advocator, Bottom Line CEO Sarah Hiner and Jon Taffer, entrepreneur, motivational speaker and host and executive producer of Bar Rescue on the Paramount Network, take a straight look at the excuse epidemic…where it came from…what the biggest excuses are…and how people can wake up to their self-destructive behavior to achieve the successes they dream of. Jon shares stories of those who made excuses and overcame them. Listen in, and break free from what is holding you back. All of that explored and more, in this edition of The Bottom Line Advocator.